Spinal health is the number one benefit of chiropractic care. Through adjustments, Dr. Rody introduces motion into the joints and segments in order to allow the nervous system to work effectively. A majority of the time, she practices manual adjustments, though every adjustment is always specific to whatever the patient needs for optimal health. This gentle pressure helps to alleviate range of motion issues such as stiffness and often results in subsequent pain relief. By bringing the bones in to a better alignment, the body is able to better express itself and engage in the healing process. Whether you are a marathon runner with foot and toe injuries or a businessperson with an aching back, Dr. Rody is here to help. From neck, back, and shoulder pain, to elbow, wrist, and ankle pain, she addresses it all. Her wide array of manual adjustment techniques are designed to cater to a variety of setbacks, one of which will be carefully chosen to improve your distinct circumstances. 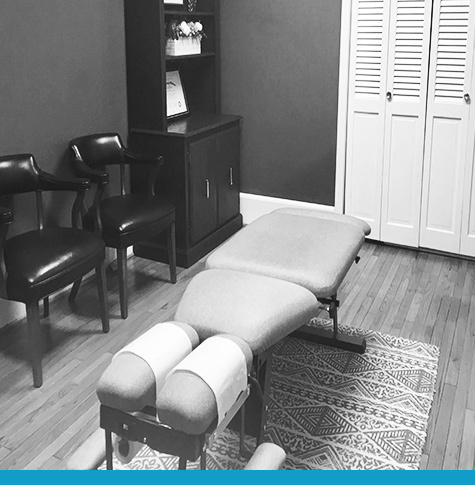 Dr. Rody not only works to heighten range of motion, but also to encourage better quality sleep, enhanced breathing, and increased relaxation. Whatever type of nervous system dis-ease you’re experiencing, we’ll work to identify the problem and help to restore balance to your body. If you are new to chiropractic care, have no fear. Your comfort is crucial to Dr. Rody, and she is more than happy to answer any questions you may have about the process. Prior to your gentle adjustment, Dr. Rody is glad to provide a detailed explanation of your handpicked technique, and she will proceed only if you feel secure. The earlier your pain is confronted, the better. Now is the time to plan for your future health. If you’d like to schedule your first appointment, we’d love to have you. Contact our practice today to get started!